Note: This post has now been updated on October 3, 2018, to include more recent data from the 115 public and private universities listed below. Merit scholarships are fewer than ever, and the awards are generally smaller, though some are still generous. In fact, an increasing number of colleges are offering only minimal National Merit Scholarships, if any. Most “merit” scholarships that remain are not linked specifically to National Merit, although finalists do of course make strong candidates for almost any merit awards. Many of the scholarships offered by the public and private institutions listed below are NOT restricted to National Merit Scholars. We include them to show “full ride” and other high-value options. If you find an error below, please notify editor@publicuniversityhonors.com. The world of merit awards has been changing rapidly in the last decade. Many colleges that continue to provide generous merit scholarships and that used to require or prefer National Merit Finalist status for the most valuable scholarships no longer affiliate with the National Merit Scholarship Corporation. The reasons vary. Often these awards now go to students who are National Merit Finalists but who can be selected for other reasons. The colleges below in bold are those that still specify National Merit status for at least some of their major awards. These offer National Merit aid of $1,000 a year or more. Although automatic scholarships specifically tied to National Merit status are in decline, National Merit Finalists will almost always be among the top candidates for merit awards. Many elite colleges and universities offer few or no merit awards of any kind now, because they believe that they need to allocate their funds only on the basis of financial need. Another post on this site lists the colleges that offer the prestigious Stamps Scholarships. These range from tuition to full ride, and in some cases, these are the only merit scholarships offered by the college. And here is a list published by U.S. News that shows colleges with highest percentage of merit aid, based on enrollment. This map does not assess actual net remaining costs after merit aid, however. In this post, we will provide a table that shows more than 115 universities, public and private, which provide full or partial tuition, tuition “plus”, or full ride, and full ride merit scholarships. In most cases, the tuition is at least at the in-state level. Tuition “plus” means that the extra award can include stipends or one or more years of housing. Full ride is tuition, room, board, and often additional funds for study abroad, conferences, and other activities. The more prestigious the university, the more likely it is that the test score and GPA requirements will at least match stats for National Merit Finalists, even if the scholarship is not tied directly to National Merit awards. It is noteworthy that universities previously known for “full rides” have lowered the merit offerings, often to a level below that of a true full ride, especially for National Merit Scholars. Note: Merit scholarships are constantly changing; the list below is at best a snapshot for 2018-2019. 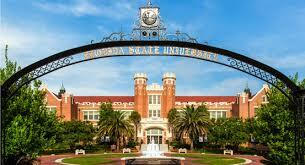 It is important to know that some of the universities listed offer VERY FEW scholarships of the type listed. For example, the Jefferson Scholarships at the University of Virginia are valued at $150,000 (in-state) and $280,000 (OOS), but only 36 extremely fortunate students are selected from more than 2,000 candidates. These students must be nominated by participating high schools in different regions of the nation. Again, colleges that continue to offer National Merit-specific scholarships that are greater than $1,000 per year are in bold. Louisville NM $20k; Brown scholars tuition plus Both? Editor’s Note: This is the second of two detailed articles that describe the complex and often confusing process of becoming a National Merit Scholar. You can read the first segment here. “I know you don’t like to be annoying, but get over it. Remember, a full ride to college hangs in the balance.” The full article, below, tells you why. In Part One, I discussed the steps in the National Merit Scholarship competition. Of course, it is the student who must ace the PSAT and have the impressive high school resume required to progress all the way to National Merit Scholar. But parents have a role to play as well, ensuring that their students have the best possible chance to grab the golden National Merit ring. As parents, we walk a fine line between appropriately guiding our children, and stunting their growth with the wind from our helicopter blades. When do you step back and let them learn from their failures? When do you step in to help? The National Merit Scholarship competition is one place where parent involvement may be vital to the student’s success. If the thought of too much involvement makes you cringe, however, consider this: should your student become a National Merit Finalist, he or she will be able to choose from a long list of colleges and universities offering generous scholarships, including many 4-year full rides. Let the hovering begin. Many critics of the National Merit Scholarship competition believe it is based entirely on the PSAT, a short test administered by College Board and taken during the junior year of high school. The truth, however, is that students who ultimately progress to National Merit Scholar have cleared many more hurdles than just a high PSAT score. For example, the student must have stellar grades throughout high school. One D, or a couple of Cs, is enough to eliminate students from the competition. If your student is already a senior, then this advice comes a bit too late. But if you have younger students, or an older student with early-onset senioritis, you now have one more reason to encourage your student to keep up the grades. As junior year approaches, many students begin preparing for the PSAT and other standardized tests. Prep courses, in person or online, may improve your student’s scores, but there is no reason to shell out the big bucks. Free online help is available from sources such as Khan Academy, and PSAT/SAT study guides are another inexpensive alternative. The parent’s role is to encourage your student to study for the PSAT. In particular, be sure they complete at least a couple of timed PSATs for practice. It will help them with pacing during the one that counts. Of course, once test day is over, you and your student will be eager to see the scores. College Board sends PSAT scores to principals in December, but many schools wait until after winter break to distribute the scores and the code needed by students to view test results online. Keep track of the dates. When PSAT scores are due, don’t be shy about asking the school when scores will be distributed. Better yet, have your student ask. Once you’ve seen the score, you may wonder whether your student is still in the running for National Merit Scholar. Many online forums have state-by-state lists showing the PSAT cutoff scores required in past years, so while you won’t know for certain for many months whether your student’s PSAT score will qualify him or her for Semifinalist, you can at least get some indication of where your student stands. Of course every student should now be gearing up for the SAT and ACT. The PSAT score should give you an idea of areas requiring more focus. Your math genius may need to hone her Critical Reading skills. Your future writer may need to review the quadratic formula. For kids whose PSAT scores indicate they may qualify as National Merit Semifinalists, the SAT takes on new meaning. Be sure your student signs up and takes the SAT junior year, preferably while the PSAT material is still fresh. The goal for the National Merit competition is to reach at least a 1960 on the SAT, as this has historically been the score deemed to “confirm” the student’s PSAT score. (See Part One of this article for the method of calculating the SAT score for purposes of the National Merit Scholarship competition). By taking the SAT during junior year, your student will have ample opportunities to retake the test if necessary to earn of score of 1960. Don’t forget that College Board must send the SAT score to the National Merit Scholarship Corporation. This is a great use of one of your free SAT score reports. If it turns out that the SAT score does not meet or exceed 1960, no harm done. The National Merit Scholarship Corporation will accept the highest score, so your student can retake the SAT and submit the new scores. This is a good time to stress three important points. First, the PSAT and SAT are products of College Board. The National Merit program, however, is run by a private non-profit called the National Merit Scholarship Corporation, or NMSC. College Board and NMSC are two different entities. Second, as many frustrated parents have learned, most communication related to the PSAT and the National Merit Scholarship competition is sent to students via their high school principals. Third, many school administrators are unaware that the correspondence they receive has not also been sent to the student. One parent was told flat out by the principal that students know their PSAT scores well before the school is notified. While this would certainly make sense, it just is not true. Another parent was advised by a guidance counselor that NMSC mails Semifinalist letters to students’ home addresses. Again, not true, unless your student is home-schooled, in which case the school and home address are the same. But it is completely understandable that the principal and guidance counselor would believe the information had already been sent to you. And while, for many parents and students, news from NMSC is of highest priority, your high school administrators must also deal with matters such as new education legislation and a sophomore smoking weed in the parking lot. So cut them some slack. Sometime in April, principals will be notified which, if any, of their students have scored in the top 50,000 nationwide. The principal is asked to verify data submitted by the student that confirms the student’s eligibility for the competition. As usual, this notification is not sent to parents or students, and very often the school does not pass the information on to parents, so don’t be surprised if you are never notified that your student is on the list. By now you should already know your student’s PSAT score and the online forums will be buzzing with news of the nationwide score needed to place in the top 50,000. If you think your student’s name should be on the list, but you cannot relax without knowing for sure, by all means contact the school or, better yet, have your student do so. While parents and students are eager for this news, the more significant notification from NMSC arrives in September and, as usual, is sent to the principal. This notification provides a letter for each student who has qualified, by virtue of the PSAT score, as one of 16,000 Semifinalists. The letter includes the login information needed so that the student may begin the online application for Finalist. The letter also, unfortunately, advises the principal that the information is not to be made public until a later date. While the letter does in fact permit the principal to notify parents and students of Semifinalist standing, the policy at many schools is to not release the information to anyone, not even to students and parents, until the moratorium on publicity is lifted. If your student is not one of the lucky ones called immediately to the principal’s office for the good news, then keep an eye on the online forums where a state-by-state cutoff list will begin to materialize as qualifying students post their scores. So now you have the letter containing the secret code, and your student can log in to the NMSC website to begin the application. Be sure your student takes the application, including the essay, seriously. An anecdote has circled for years about a permanent Semifinalist (a student who did not progress to Finalist) whose essay lambasted the National Merit program. This is not a time for your child to become an anecdote. The essay matters. Once complete, be sure your student’s part of the application, and confirming SAT score, are submitted on time. The other half of the application is to be completed by someone at the high school, and while it seems this is out of your control, it behooves you to stay on top of the process. It is also in the best interest of the school for your student, and all the school’s Semifinalists, to advance in the competition. This part of the application requires that the principal “endorse” the student–a no brainer unless your kid was once that stoned sophomore or had other behavioral transgressions. The school must also list each course your student completed and grades (semester or quarter grades, depending upon which grades are used in your school’s GPA calculations). If your student has even one D or one or two Cs during high school, that may be enough to disqualify him or her from the competition. Be sure the guidance counselor realizes this and ask that it be addressed in the application. An explanation may make the difference. For example, the guidance counselor can address facts such as if the grade was in 9th grade and the student has matured since then, the student had a major illness that semester, etc. The school must also evaluate the student’s academic achievement, extracurricular accomplishments and personal character and qualities, along with rigor of courses. If your school has more than one Semifinalist, all can be ranked at the highest level, so be sure your guidance counselor understands this. Finally, the guidance counselor must submit a recommendation for the student. Perhaps your student is well known in the counselor’s office. But for many students, particularly in large schools, the guidance counselor has never had an opportunity to really get to know them. Writing a recommendation letter may be a challenge. So help your student put together a short resume listing things he or she may wish to have included in the recommendation letter: favorite courses, extracurricular activities, leadership positions, awards, community service commitments, employment, etc. Then have your student deliver the resume in person (preferably) or by email to the guidance counselor (or whomever is going to write the recommendation letter) with a short note. If the guidance counselor needs the information, it will be readily available. Parents are always worried that a deadline will be missed. In this regard, let me assure you of two things. First, you have a phone. Shortly before the deadline, pick up the phone and call NMSC. They will confirm whether the school has submitted the online application, and whether the SAT score requirement has been met. If the application has not yet been submitted, you have time to send a friendly reminder to the school. Then check back with NMSC. Then remind the school again. Lather, rinse, repeat. I know you don’t like to be annoying, but get over it. Remember, a full ride to college hangs in the balance. Your school administrators would prefer a friendly reminder as the deadline approaches rather than an irate phone call after the deadline has passed. Second, the NMSC makes great efforts to ensure that no student falls through the cracks, particularly over something out of the student’s control. Rest assured that even if the school fails to submit the application on time, or the SAT score is not received, or any number of other items is missing, a reminder will be sent. Finally, there is an appeal process through NMSC available for students who do not progress to Finalist. But, as 15 out of 16 Semifinalists do progress to Finalist, I certainly hope you won’t need to appeal. In summary, your student is busy being a senior, and could easily miss an important deadline. And your school’s administrators are busy dealing with more issues than you can imagine. So while you may not wish to be a helicopter parent, this is one time when you need to hover just a bit. In the past, we have listed the Kiplinger Best Value universities without much additional comment. The Kiplinger methodology emphasizes a “quality” side in relation to the “cost” side of a university. The quality side includes selectivity, retention, and four-year grad rates, while the cost side takes tuition, fees, merit aid, need-based aid, and post-graduation debt into account. For highly-qualified prospective honors students, the Kiplinger list is misleading, because (a) most students going to public universities are in state and (b) many honors students who go out of state receive tuition offsets or merit aid that reduce the costs used by Kiplinger. As we point out below, many private elites do not provide any merit aid, only need-based aid. Families with relatively good incomes will find that even with all need-based aid provided by the private elite university, a typical family with a good income will still have to pay about $16,000 to $22,000 a year in out of pocket costs, and up to more than $50,000 a year if the family income is in the $200,000 range or higher. 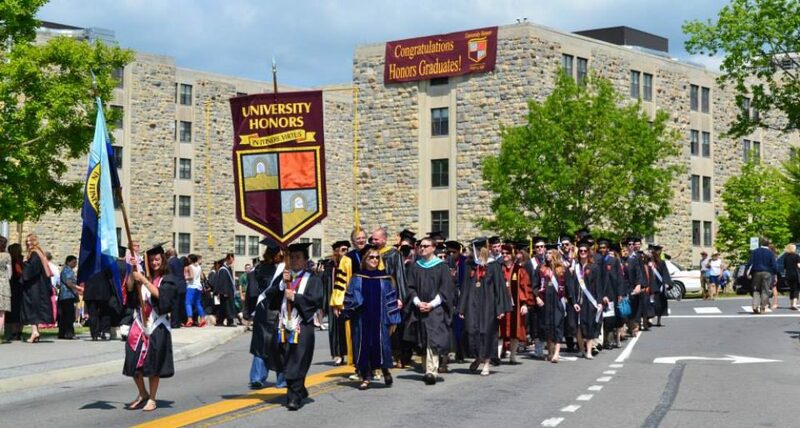 So…if you’re the parent of a prospective honors student who is considering either an in-state or out-of-state public university, your cost assessment for purposes of comparison with the private elites must go beyond the Kiplinger data and include an evaluation of all merit-based (i.e., not need-based) aid offered to outstanding honors applicants. While it’s true that National Merit Scholars and Semifinalists are often especially favored by public universities, it is also true that honors students who are not national scholars are also strong candidates for other types of merit aid. The University of Arizona is not even listed among the 300 Kiplinger best value colleges in the nation, but an out-of-state national scholar/honors student at the UA Honors College would receive $30,000, against the $43,800 cost of tuition, fees, room and board, and miscellaneous expenses, leaving $13,800. This is a four-year savings of about $32,000 versus Princeton. An in-state national scholar would receive $20,000, compared to in-state costs of $18,300—in other words, a “full ride”—amounting to a savings of about $87,000 compared to Princeton. Bear in mind that qualifying for a national scholarship is generally a lower requirement in terms of test scores than Princeton would require. An out-of-state honors student and national scholar at the Joe C. and Carole Kerr McClendon Honors College at Oklahoma University can receive a whopping $120,000 in merit aid over four years (another full ride), which also includes funding for study abroad. In-state national scholars receive $66,000, a full ride that also includes funding for study abroad. Yet OU is ranked 196th among all 300 colleges by Kiplinger. Other honors colleges that provide full ride merit scholarships are the University of Alabama Honors College, the University of Kentucky Honors Program, and the Sally McConnell Barksdale Honors College at Ole Miss. Many others also provide very generous merit aid based on combinations of test scores and high school gpas. Penn State’s excellent Schreyer Honors College provide ALL its freshmen with a $4,000 merit award, which is renewable for all four years. So do you have to be a national scholar to receive the kind of financial aid that would lead you to choose a public honors program over an elite private university? Consider that 95% of students at Arizona State’s outstanding Barrett Honors College receive merit aid—but 40% also have need-based aid on top of (not in place of) merit aid. The number of national scholars who can receive merit aid from ASU is uncapped=no limit. Most national scholars, in-state or out-of-state, receive tuition waivers or offsets to go along with any need-based aid. About 90 students in the highly selective and excellent University of Georgia Honors Program are eligible for a Foundation Fellowship, which “approximates the full cost of attendance and supplies a generous set of enrichment funds to support study abroad, internships, undergraduate research, etc.” Another 20-30 honors students receive the Ramsey Honors Scholarship that provides about 75% of the amount of the Foundation Fellowship. The honors director reports that “the majority of these funding opportunities are directly attributable to the fact that the Honors Program has its own, very active fundraising office.” The minimum test score requirements for these awards are generally lower than those for national scholarships. Below are the public universities that have the best value, according to Kiplinger, in terms of in-state costs. Please note that this list does not include any additional merit awards for honors students.